Leeds have sacked head coach Brian McDermott with immediate effect. Rhinos chief executive Gary Hetherington will now begin the search for a long-term successor for McDermott. 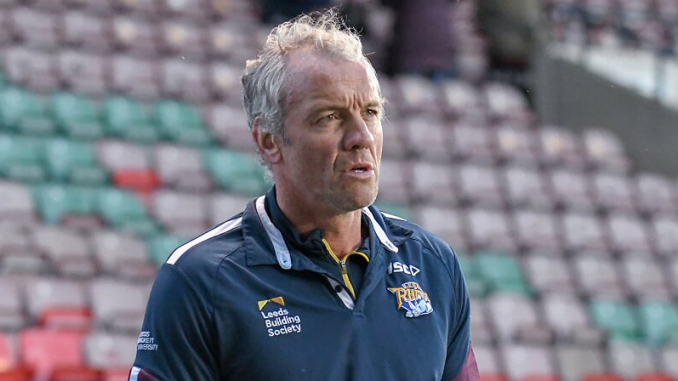 McDermott was the longest-serving coach in Super League and the most successful in the summer era of the game, winning four Grand Finals, two Challenge Cups, a League Leaders Shield and a World Club Challenge in his eight years with the club. But with Leeds having lost their last seven Super League games and sitting in eighth in the table, Rhinos have sacked McDermott. On his decision, Hetherington said: “It is always disappointing to announce the departure of someone who has contributed so much to our club’s success and Brian McDermott has certainly done that. “Eight years is a long time for any head coach at the same club and we have enjoyed much success and endured some difficult times along the way when tough decisions had to be made. We have always come through strongly but I do believe our present predicament requires change and that this is the right call for the club. But McDermott doesn’t agree with Hetherington’s decision. He said: “I am extremely disappointed this has happened and obviously it is not a decision I agree with.